Sept. 14, 2016; 4 p.m. The Career Development office will host the first Career and Internship fair of the fall next Thursday where students can meet potential future employers. Keeping international students in mind, several international-friendly companies are presented at the fair and the Career Development Center is focused on getting companies to these events that are willing to sponsor international students, Director of Career and Student Development Dana Wehrli said. The full list of employers can be found on Handshake, which is web-system that allows students and alumni to view and apply for jobs and stay informed of local career events. Students can access the system with their lionmail information. The Career and Internship Fair will be in Evans Commons Gymnasium on Sept. 22 from 3 p.m to 6 p.m.
Professional attire and student/alumni ID is required for all job seekers, and students are encouraged to polish their resumes to be ready for employers. 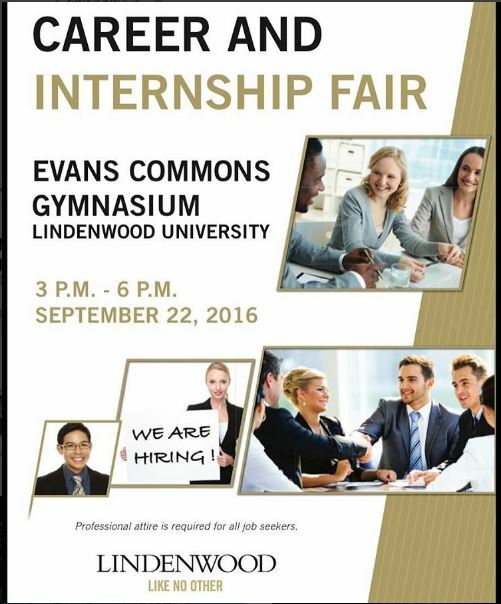 For more information, drop by the Career Development Office on the third floor of the Spellmann Center or contact Wehrli at (636) 949-4806 or DWehrli@lindenwood.